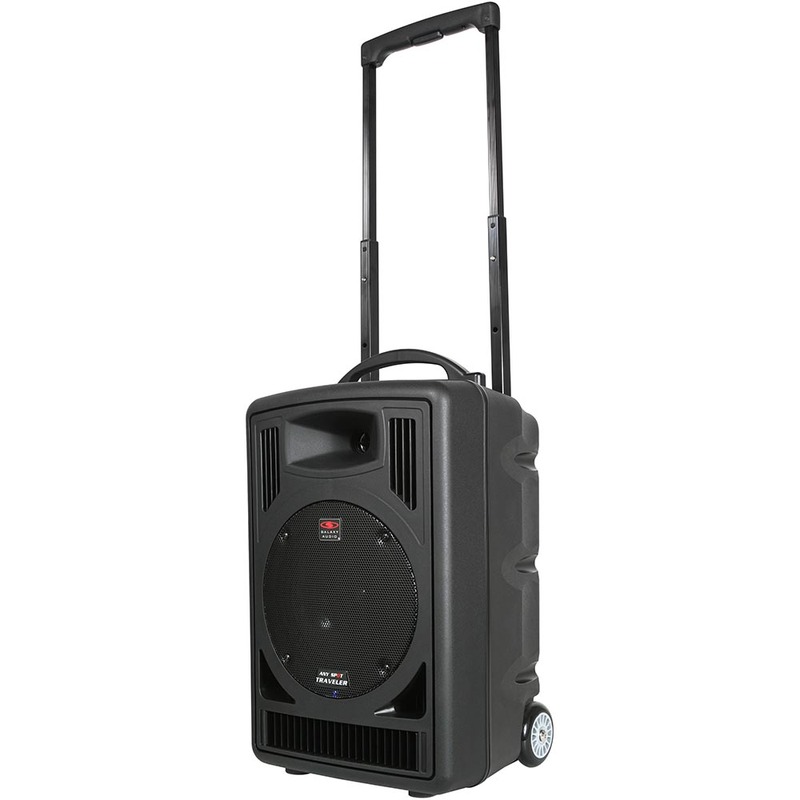 The Any Spot Traveler Series is designed for people who need a portable, lightweight, "all-in-one" PA system that allows for a quick and uncomplicated setup. They run on AC or from the built-in rechargeable battery. Optional modules allow you to customize your Traveler to suit your needs. Build yours today*! 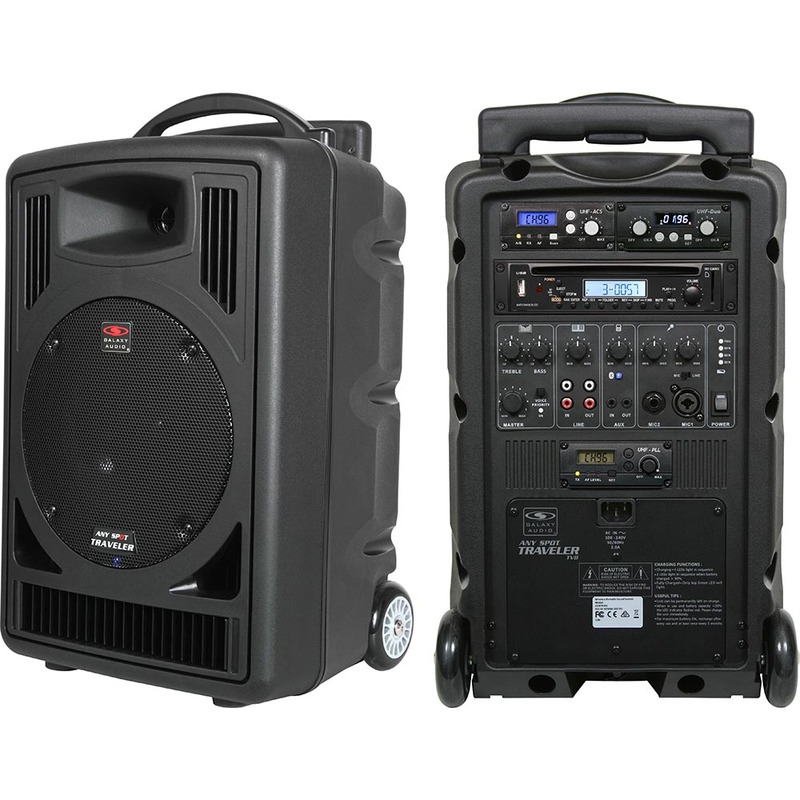 • Size: 12" x 10.5" x 20.25"
• Audio Output: Line-RCA, 1/8"
*Price shown is for the base model. Different builds will result in different prices. 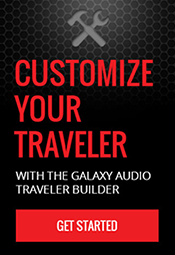 Please configure your unit with the Galaxy Traveler Builder and call RSS with the build number to get an accurate price.